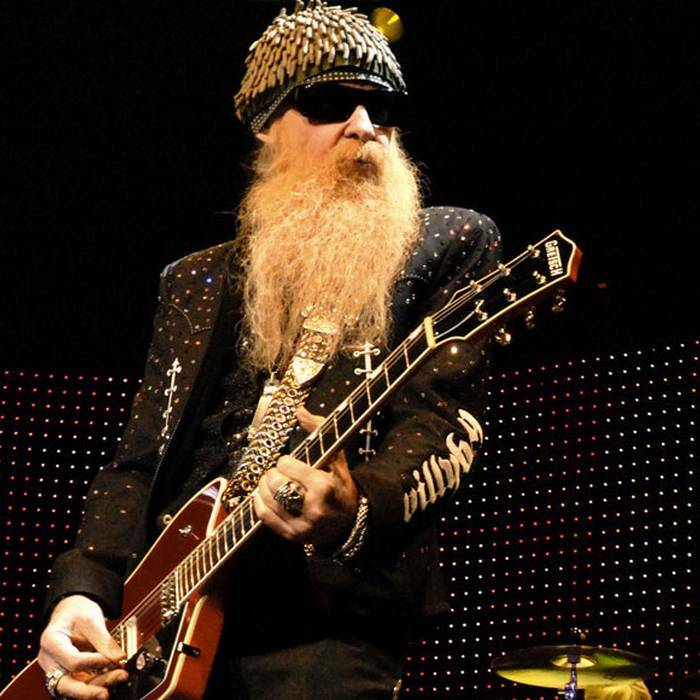 Along with the late Stevie Ray Vaughan, ZZ Top guitarist Billy Gibbons is unquestionably one of the finest blues-rock guitarists to ever emerge from Texas. He’s best known as the centerpiece and one third of ZZ Top, the band that came together in 1969 and has stayed part of the American musical landscape ever since, the longest running major rock band still composed of its original members. Billy and bandmates Dusty Hill and Frank Beard were inducted into the Rock and Roll Hall of Fame in 2004 by Keith Richards of the Rolling Stones, a longtime friend of Billy’s. A legendary master of the six-string, Gibbons is widely regarded as one of America’s finest guitarists working in the blues rock idiom. ZZ Top’s sound owes much to his uncanny knack to squeeze unheard of sounds of the electric guitar that resonate with the blues, pop, R&B, country, gospel, western, hillbilly and West African influences that coalesced when rock ‘n roll was born. His almost subconscious awareness of this heritage makes his an approach that is innovative and authentic, not to mention his unmistakable down ‘n dirty growl as a vocalist. Before ZZ Top, who would go on to become an acknowledged symbol of the State of Texas, Billy fronted several bands during his formative years growing up in Houston and soon became a local phenomenon. The Moving Sidewalks was his psychedelic pre-ZZ Top group and had occasion to open for Jimi Hendrix. Beyond his work with ZZ Top, he’s recorded with such notable artists as B.B. King, Les Paul, Queens of the Stone Age, Nickelback, Kid Rock, Johnny Winter, John Mayall and others. Gibbons is an internationally recognized collector of guitars and cars, a fact chronicled in the best selling book he wrote about his collecting obsessions, Rock + Roll Gearhead. His guitar collection today numbers more than 800 instruments and includes the “Muddywood,” constructed from fallen timbers from Muddy Waters’ childhood home.